The German pharmaceuticals and chemicals giant had been courting the St. Louis-based seed maker for roughly four months, with the aspirin-maker sweetening the pot with ever-growingsums of money. Bayer finally plans to pay $128 a share for Monsanto, up from its initial May offer of $122 a share. Not only is this the largest foreign corporate takeover ever by a German firm, it’s the largest cash bid on record, as Reuters reported. A successful merger would create the world’s largest agrichemical firm, which will control more than one-fourth of the combined global market for seeds and pesticides. 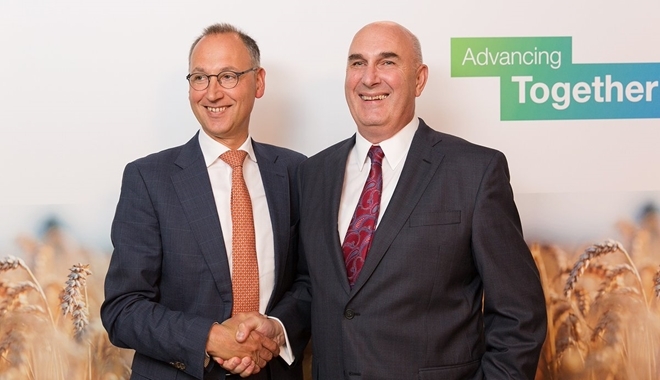 Bayer CEO Werner Baumann and Monsanto Chairman and CEO Hugh Grant, appeared in a joint announcement of the proposed combination on their “Advancing Together” website. In their statements, both chiefs echoed Big Ag’s oft-repeated sentiment that biotechnology helps increases crop yields in an environmentally friendly way and is one solution to feeding a growing global population. Dave Murphy, the executive director of Food Democracy Now!, refutes this belief. 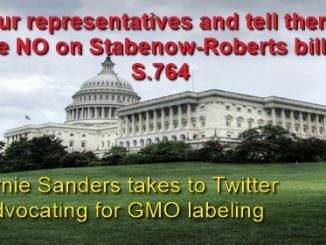 “Agricultural biotechnology has never been about ‘feeding the world,’ but enriching the bottom line of toxic chemical corporations that have had a long history of producing chemicals that are deadly to human populations and the environment,” he told EcoWatch. Monsanto, the world’s largest producer of genetically modified (GMO) crops and maker of theglyphosate-based herbicide Roundup, has faced mounting controversy and numerous lawsuits in recent years over the health and environmental impacts of its products. Bayer has also been subject to criticism over its widely used insecticide, imidacloprid, which belongs to a controversial class of chemicals called neonicotinoids that’s linked to widespread deaths of pollinators. Critics of the tie-up have noted that Monsanto’s poor image was a factor in its decision to be bought. “We believe political pushback to this deal, ranging from farmer dissatisfaction with all their suppliers consolidating in the face of low farm net incomes to dissatisfaction with Monsanto leaving the United States, could provide significant delays and complications,” they wrote in a research note. Meanwhile, Monsanto’s tribunal at The Hague next month is still on deck. The Organic Consumers Association, IFOAM International Organics, Navdanya, Regeneration International and Millions Against Monsanto, joined by dozens of global food, farming and environmental justice groups are putting the transnational corporation on trial for crimes against nature and humanity and ecocide. Why do we allow these “monopolies” to happen? Isn’t it against the constitution or law somewhere?It’s time 4 the other 99% of us to take a stand!